You have been on this train for ten hours and still have twelve hours to go. You’ve never been on a train this long. Your coach is swaying and clanking through forests teeming with nameless streams under the expanse of the Russian sky. Just now you passed through a city with golden domes glittering in the sun. Time is somewhere else. You are beyond the realm of time. You are drinking your thirteenth glass of tea and discussing fate and eternity with strangers – even though you can’t speak Russian. 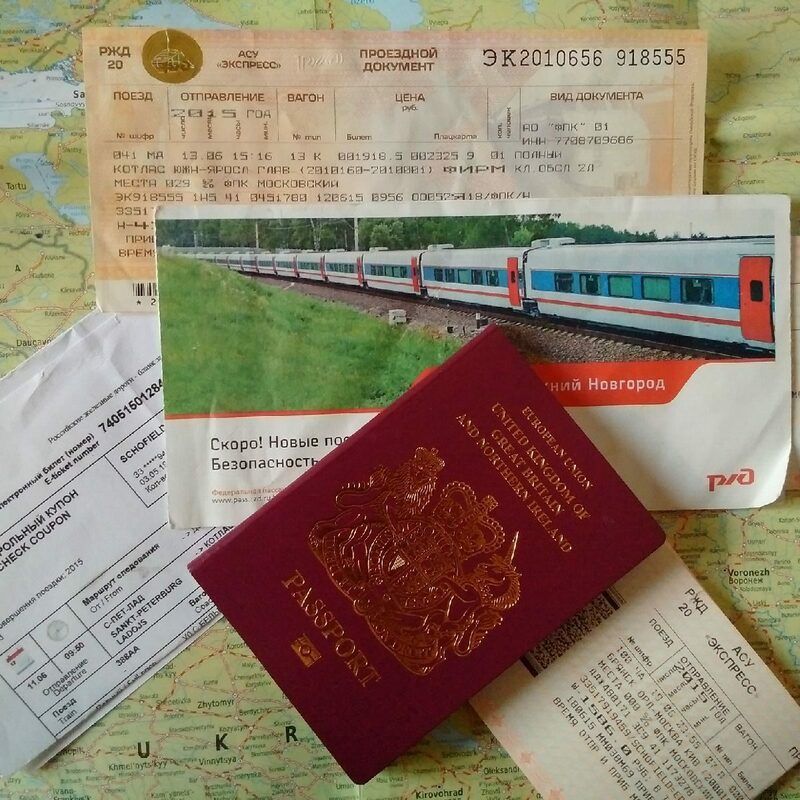 A train journey is a must-do in Russia, like going on a gondola in Venice – except for the price of half an hour of Venetian gondola you get seven time-zones of Russian train. Click here to read the my guest post on Miss Tourist’s blog.